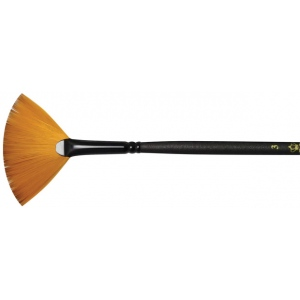 Brushes are handmade with soft multi-diameter taklon filaments carefully dyed to a rich color. * Ideal for delivering smooth and even strokes with exceptional control. * Artists admire them for their excellent color-holding capacity durability and snap. * Features double-crimped black brass ferrules and SilkTouch handles.